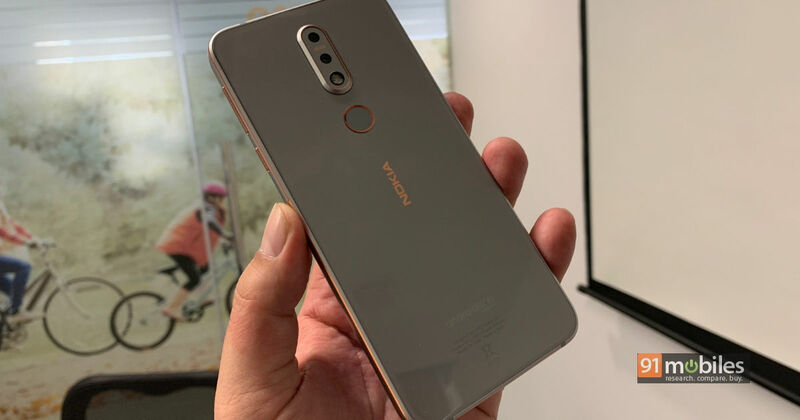 91mobiles recently reported exclusively that the Nokia 7.1 (first impressions), which was launched last month in London, will be heading to Indian shores soon. As speculated, the brand has gone ahead and silently launched the mid-range smartphone in the country today. The Nokia 7.1 flaunts a HDR10-capable display, dual cameras on the back, and stock Android Pie software as its highlights. The Nokia 7.1 price in India has been set as Rs 19,999 and will come in only one configuration. It and will go on sale in the country starting December 7th and come in two hues, Gloss Midnight Blue and Gloss Steel. The handset can be picked up from major mobile retailers across India and on the official Nokia website. As for the Nokia 7.1 launch offers, Airtel is offering 1TB of 4G data on eligible plans starting Rs 199 for prepaid users and 120GB additional data along with three months of Netflix subscription with one year of Amazon Prime subscription on plans starting Rs 499 for postpaid users. Moreover, customers using HDFC Bank debit and credit cards to purchase Nokia 7.1 through Pinelabs terminals in offline stores will get 10 percent cashback. To recap the Nokia 7.1 specifications, the handset flaunts a 5.84-inch PureDisplay full-HD+ display with HDR10 support and 19:9 aspect ratio. Powering the package is the Snapdragon 636 SoC backed by Adreno 509 GPU. The processor is further backed by 4GB RAM and 64GB storage. In the software department, the Android One phone comes with stock Android Pie and is entitled for three years of monthly security patches. For security, the Nokia 7.1 offers a rear-mounted fingerprint scanner. A dual camera setup on the rear comprising of 12-megapixel + 5-megapixel cameras with ZEISS optics and an 8-megapixel fixed focus snapper on the front handle the imaging department on Nokia 7.1. In terms of connectivity, the Nokia 7.1 offers dual-SIM slots, 4G LTE, Wi-Fi, Bluetooth v5.0, NFC, and GPS with GLONASS. Lastly, a 3,060mAh battery with fast charging capability completes the spec sheet.